This project provides guidance on how to develop parking lot snow and ice management contracts that encourage the use of best practices for salt management established by Environment Canada and other organizations such as the Transportation Association of Canada. 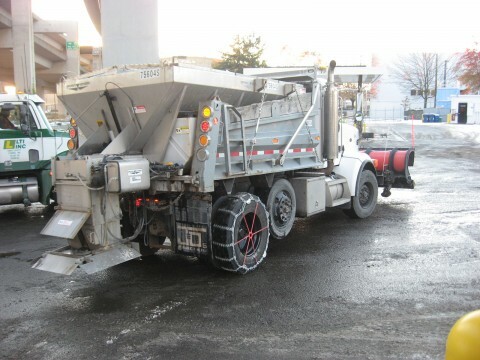 These best practices will not only help ensure that the ‘right’ amount of salt is applied to manage risk, but can also reduce the amount of money businesses spend on salt, while minimizing salt damage to building infrastructure. a lack of targeted training on the amount of salt to apply under different conditions, how equipment should be calibrated to ensure optimal performance, and the type and detail of records needed to minimize risk from slip and fall suits. The final procurement guidance document is now available – see downloads on the right side bar.